I was asked to submit for a project online and recorded a reel to send in. I feel pretty good about this recording and wanted to post it online! This is a scene from the series Cowboy Bebop, the character is Faye Valentine. A psychological thriller/horror/fantasy feature film is going to be so much fun! A big thank you to Anthony De Lioncourt and Mark Mattson for keeping me involved in their amazing work. I am definitely looking forward to filming my scenes soon! 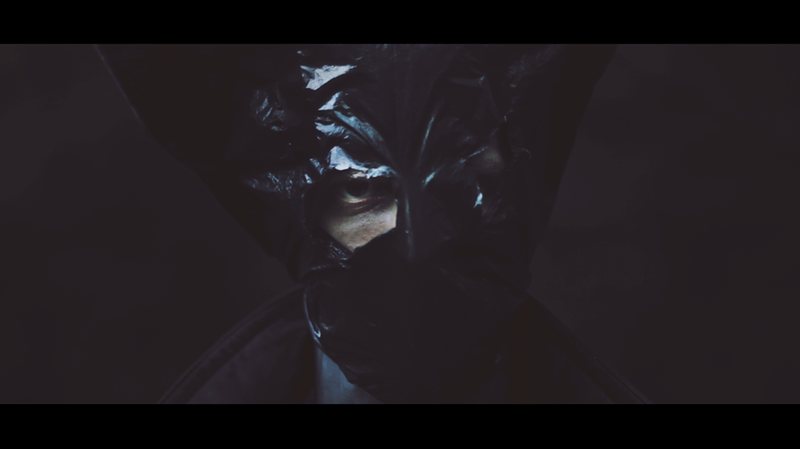 Check out their teaser trailer they just released! More details to come! I BOOKED IT! NEW YORK CITY STAGE, HERE I COME!! I am proud to announce my casting in “The Great Forgotten”, a play that takes place in the roaring 1920’s. Full of war, romance, and dancing, this is a show you don’t want to miss! This new play will perform at NYC’s oldest and biggest theater festival: NYC FRINGE FESTIVAL. Out of thousands of shows, they only pick a select few to perform in the heart of New York City. I’m very excited to be cast in a show with strong female characters and real grit. The 1920’s was turn of the century for women’s rights and lifestyles. They started to fight for their freedoms to live as they choose. These themes still apply today. The show will run mid-late August. More details soon! Follow THE GREAT FORGOTTEN on Facebook and donate on Indiegogo! 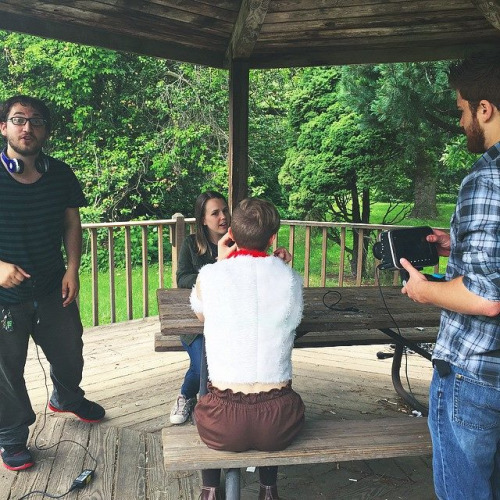 I had a lot of fun the first weekend of June with half of the cast of the new nerdy webseries, Three Days of Glory! Took a train out to location with my costumes and wigs in tow, excited to film our first episode with our new equipment we got through our Indiegogo campaign. I am so happy with the cast and crew. We get along so well and it’s always a pleasure to work with everyone! Nothing better. Director, George Daileda setting up a scene. After filming all morning (and waiting out a short lived bumblebee attack; they were very adamant about being in front of the camera), I was able to snag a few photos of me and my show’s partner in crime in cosplay! 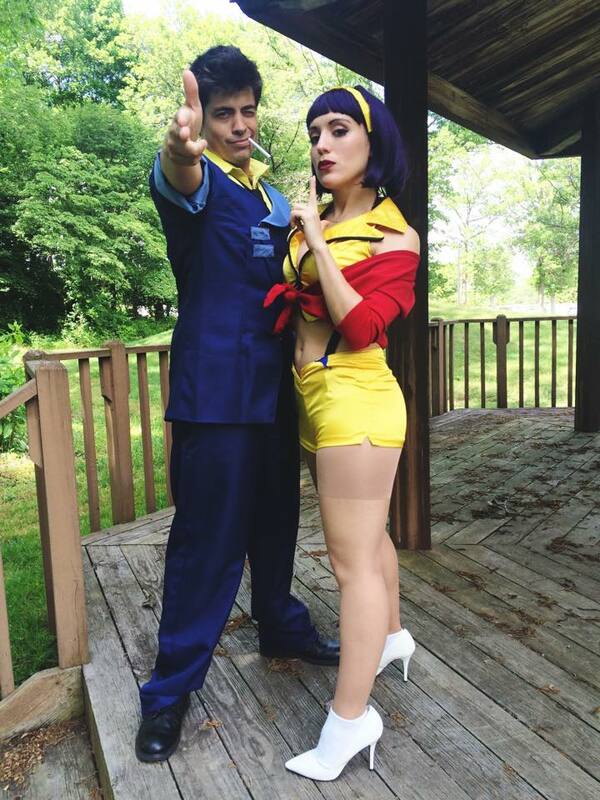 Justin Schilling as Alan and Alissa Simmons as Nina cosplaying Spike and Faye from the classic anime Cowboy Bebop. I can’t wait for us to finish filming and get this awesome series started! It’s gonna be a lot of fun, for sure. Keep a look out for more updates! Follow Three Days of Glory on Facebook and Twitter! So excited to join another cast for another night of good old fashioned New York crankiness! Come on down to West 47th St this Friday and Saturday and enjoy some drinks and entertainment! See you there! For more updates, follow Cranky Cabaret here! My first RED CARPET in NYC! I was so excited and nervous, but fellow cast members kept me positive and happy. It was definitely a night of talent and love! 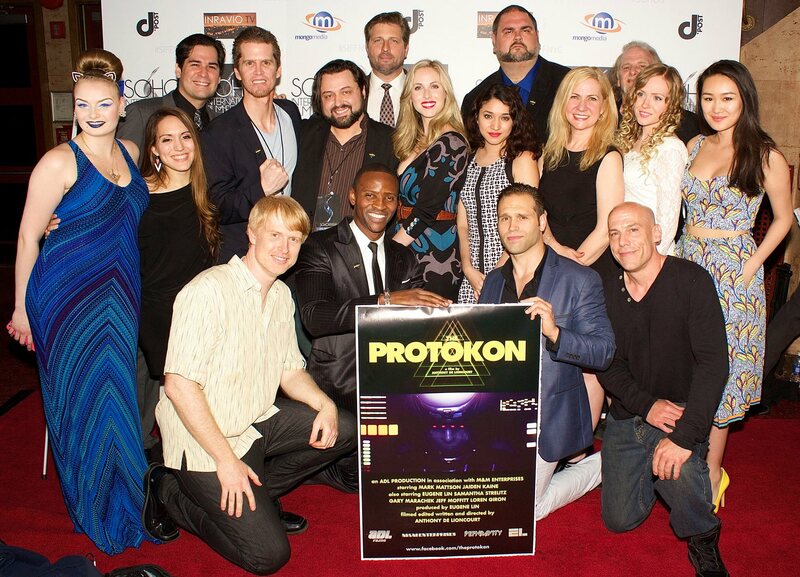 The Protokon Cast and Crew on the red carpet in NYC! I had a blast at the World Premiere of the 1980’s style sci-fi indie cult film, The Protokon, at the Soho International Film Festival. Finally getting to meet the rest of the talented cast and crew and getting to hear the audience’s response to this amazing film made my heart soar! It’s rare to find other truly talented artists among the millions of people in New York City that have as much heart as this group of people. I am very proud to be a part of this cast and very grateful that I got the chance to work with amazing director/creator, Anthony De Lioncourt. I’m looking forward to working with any of these amazing people in the future! Follow this amazing film, here! So excited to join another cast for another night of good old fashioned New York crankiness! Come on down to West 47th St this Friday - Saturday and enjoy some drinks and entertainment! See you there! I just got an email letting me know I have a callback for NYMF (New York Musical Theater Festival) this summer! My face when I checked my email this morning. This amazing festival features new musicals that are on their way to the big stage, so this is very exciting! I can’t wait to go back and show them what I got! I would love to work on a new musical. So much fun!